DO YOU HAVE A ROOM TO SPARE? LIGHTSVIEW FACILITY UP AND RUNNING!! UNDER 18 BOYS DIV 3 CARNIVAL WIN!! Travelling Interstate the June Long Weekend?? Changes to Training Roster for June 4th (this Sunday). Lightsview Update – We have momentum, and almost lift-off! for Thomas, our Captain, Brett and Leroy, and they are all retiring. The Rockets will now have a NEW HOME!!!!! ROCKETS BOYS START THE SEASON WITH A SOLID WIN !! Reminder that we can still get CHEAP TICKETS TO THE 36ERS v MELBOURNE 22 JANUARY. NABC in conjunction with Behind the Door Wines are running a wine fundraiser, please view the attached order form. With Christmas not so far away now is the time to consider re-stocking the cellar or purchasing wine for gifts for family and friends. NABC's Junior and Youth League Presentation Day was held at Hillcrest Stadium on Saturday 19th September. 'NABC Official' team app is available for download now! Sunday 23rd August 2015, at Hillcrest Stadium, 483 North East Rd, Hillcrest is Junior Trials day. Junior Trials for the under 10, 12 and 14 age groups in both Girls and Boys will be conducted for the 2015 / 2016 season. 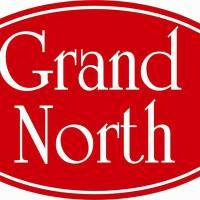 North Adelaide women make it two in a row! North Adelaide Rockets women are back to winning form! Rockets Girls have 4 Straight Wins! YOU NEVER KNOW WHO YOU MIGHT SEE AT A ROCKETS GAME !! ROCKETS BOYS MAKE IT 4 IN A ROW !! Aric Miller has arrived at the launch pad with a bang!! Top scorer in the pre-season tournament, and adding that touch of excitement to our already talented senior men. Division 2 Women’s Grand Final –Summer 2014/15 - On Monday 2nd March the Reserve Women played off against Woodville in the Division 2 Grand Final. We are thrilled that Aric, the American Import for our senior men’s team in 2015, has arrived at the Launch pad. NABC Financial Membership and Renewals applications are now open for the 2015/16 membership period. NABC will be having an Extravaganza Day on Sat 21st February at Hillcrest Stadium. It runs from 4pm to 7pm. Thanks to everyone who attended the Junior Clinic at Hillcrest this week it was a lot of fun. Special mention to Brett Aistrope, Kane Della-Pia and Taryn Moore who stayed all day, and members of our seniors team who helped out. Rockets Sign an Import for 2015! ROCKETS SIGN AN IMPORT FOR 2015!! NABC is thrilled to announce the signing of US guard Aric Miller for the 2015 ABA season. Teams are set, we are ready to go, and the new Rocket cheerleaders are ready for their debut!!!! Jo Hill will play her last WNBL game on Saturday Feb 15th. Tickets are only $10 and can be purchased by ringing Skye on 8345 0900. Favourite Rocket Josh Bond has defied the odds and is back on track. ROCKETS ARE READY TO SOAR!!! Check out the new Volunteers section at the top bar of the web page. Look out for fundraising events the Rockets are taking part in and what help is needed. NBA great Luc Longley to conduct coaching clinic for SA Basketball coaches! Are you an under 14 girl or boy? 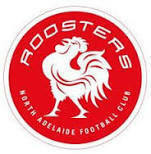 -	Love the North Adelaide Rockets? -	Want to make some new friends? Latest Rockets Review has been upload to the site with some of the results from the Australia Day Carnival at the Starplex. Click the link to go to the Rockets Review page. Check out the lastest Rocket Review with an article on Josh Bond and how some of the teams went at the St. Clair Christmas Carnival. Click the link for the newsletter. The term 4 training roster has been announced. The official training sessions will commence on the 7th October. Please note the new age group coordinators. Click the link for details. Summer Squads have been announced. Go to the "Summer Squads 2012/13" link under the "Playing the Game" heading or just click the following link. The Rockets Review for September includes articles of the how some of the North Adelaide teams went in the finals and also has some photos taken from the Junior Presentation Day. Go to the "Rockets Review Newsletters" heading or click the following link. The North Adelaide Rockets have a new supplier for the uniform and other items. 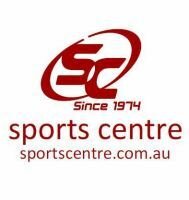 Sports Centre will now be providing a new look uniform, hoody, polo and bag. 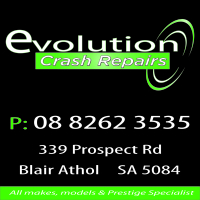 The North Adelaide Rockets are lucky to have a very loyal and supportive group of sponsors, including some who have been backing the club for many years. The Rockets would like to thank them for their contributions which help the club in so many ways, but most importanatly allow for yearly subscription fees to be kept to a minimum. To read more about this loyal group click on more on this message. The rockets would also ask that where possible club members and their families and friends support our sponsors as well. Some new details are available for the Aussie Hoops program at Hillcrest in 2012. The program is an excellent introduction and development scheme for young players, including those who are new to the game. Details are available by clicking on more below or on the Junior Development tab on the website, then on Aussie Hoops. More details are also available from Junior Development Manager Jaimi Rock on 0433- 574-411. Over the last few years there has been a considerable growth in open forums, such as Facebook, Twitter and Hoops and the club felt it was appropriate to address their use in as far as it affects parents, players, coaches, officials and the club in general. While these forums are a very accepted part of every day life, it is the club’s belief that they are not an appropriate way of airing an individual’s views on basketball related matters. There have been a number of instances where these sites have been used for criticism of players, coaches and officials and even cases of bullying and this is unacceptable as far as the club is concerned. Please be responsible in your use of these mediums and be aware that if inappropriate material is brought to the club’s attention it will result in disciplinary action against the person or persons involved. While often only a passing comment these items can cause considerable concern for other parties involved. Some more coaching material has been uploaded to the Rockets Website. This involves a series of drills from Adelaide 36ers coach Marty Clarke. You can find the new material by going to the coaching resources tab and then clicking on the Marty Clarke item. 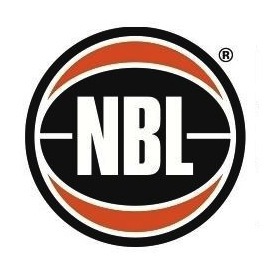 The Business Directory includes the valued companies and businesses who generously support the North Adelaide Basketball Club. We ask that when you need the services or products outlined in the directory that you give strong consideration to supporting those people who support the Rockets. A copy of the directory has been provided to every North family by team managers. A copy is now also available on the net and can be downloaded by clicking on more on this message. Feel free to pass it around to friends and relatives. The Junior Operations Group (JOG) have updated the Junior Club Booklet which contains a wealth of information related to playing basketball at the North Adelaide Rockets, including club values and objectives, team selections and player movements. A copy of the booklet is now available on the website. Just click on more. A copy can also be found under the "So You Want to Play Basketball" tab. The recent coaching clinic run by North Adelaide's coaching mentor Dean Kinsman has been immortalised on DVD and is now available for all Rockets coaches. If you were at the clinic you already know how valuable the session was and if you missed it this is a chance to learn some great new skills or reinforce what you already know and do. 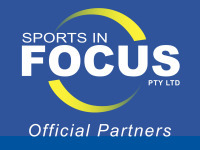 To get a copy of the DVD coaches can contact David Durant at dsquared@logicalfs.com.au. Some details about the Rockets in Schools Program have been uploaded to the website. To learn more click on the Coaching and Junior Development Tab and then on Junior Development and go to the Rockets in Schools Program. The JOG committee has developed some great new resources for junior coaches. Check them out by clicking on more and then downloading the information you need.